Shopping for gifts for men is no easy job. Rather than complaining of those boring wallets and perfumes, the fashion designers at Kraftcafe has come out with a traditional yet interesting gift idea – paper shirt and tie! Choose papers of different type and texture and create a variety of shirts, paste them on a card and gift it to your loves ones! 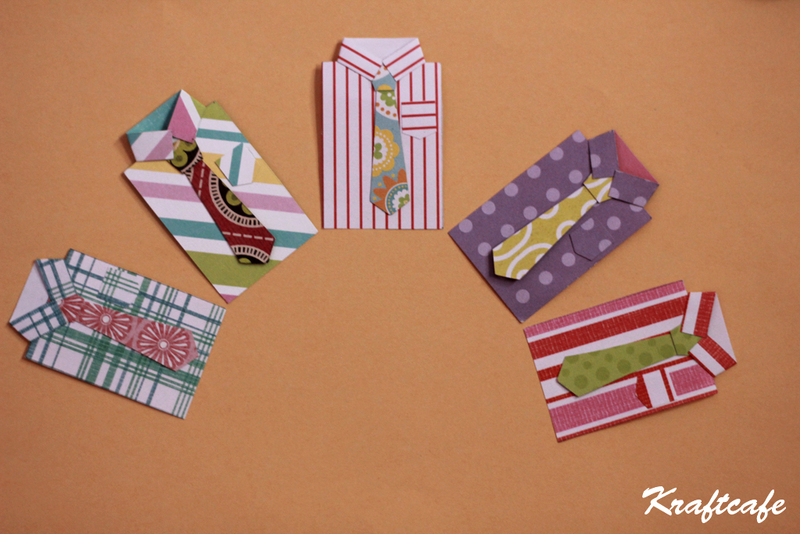 Be your own fashion designer and make yourself a wardrobe full of paper shirts..